What does it mean to major in international studies? International studies is an interdisciplinary major that allows students to focus on a specific region (East Asia, Europe, Latin America, or Middle East) and a thematic area (business, culture, politics, or health), providing them with an understanding of how the contemporary world works. They also study a foreign language intensively, including at least one semester abroad. The interdisciplinary curriculum, the mastery of a new language, and time spent abroad give students a deeper appreciation for the complex interactions in today’s global society, the diversity of people and cultures, and the challenges and opportunities that await their generation on the world stage. Croft builds a foundation of skills including writing, speaking, analytical thinking, multitasking, creativity, and perseverance that prepare graduates to compete at the global level. Students must be admitted into the Croft Institute to pursue the major in international studies. High school seniors apply through the Special Programs and Scholarship Application and current UM students request a paper application in person from the Croft Institute. Why is the University of Mississippi a good place to study international studies? All Croft students study abroad, either for a semester or a whole year, in a country where their chosen language is spoken. 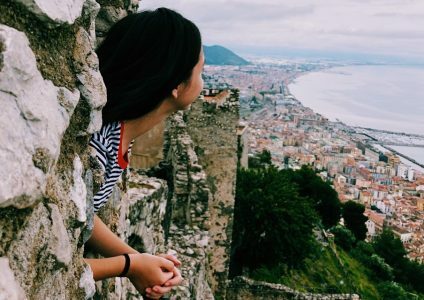 Studying abroad is the experience of a lifetime, a period of intense personal and intellectual growth. Croft students learn how to adapt to an unfamiliar environment and how to build relationships across barriers of language and culture. When they return, they complete a two-semester senior thesis that represents the culmination of their intellectual development as Croft students and draws on all of the academic skills they have acquired. Each year the Croft Institute offers 10 incoming freshmen merit scholarships worth $32,000 over four years. In addition, the outstanding student in the entering class who does not already hold a major scholarship receives an academic excellence scholarship worth $24,000 over the final three years of the program. A maximum of 45 freshmen and sophomores are selected to enter the program annually. Croft students have completed summer internships with the U.S. Department of State, the White House, and the Carter Center in Atlanta, as well as with several other organizations and businesses in major cities. 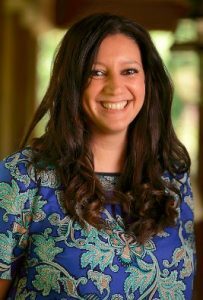 Dr. Vivian Ibrahim, Croft Associate Professor of History and International Studies, earned her Ph.D. from the University of London, and held a post-doctoral research position examining European-Muslim identities at University College Cork, Ireland. She specializes in the history and politics of Egypt in the 19th and 20th century. Ibrahim’s current book project, Détente Shows: Tutankhamun and the Global Cold War, examines the intersection between cultural diplomacy and world heritage against the backdrop of the Arab-Israeli conflict and Cold War. What can international studies majors do after graduation? A liberal arts education empowers and prepares students to deal with complexity and change through a broad knowledge of the world. They gain key skills in communication, problem-solving, and working with a diverse group of people. It is impossible to describe a “typical” Croft graduate. Because of the program’s flexibility, our students gain a wide range of skills, which, when combined with their motivation, passion, and intelligence, make them competitive for careers in a variety of fields. A Croft graduate might be the director of finance and operations for an international non-profit organization, work for the U.S. Department of State, or be an account manager for a European sustainable energy consulting firm. 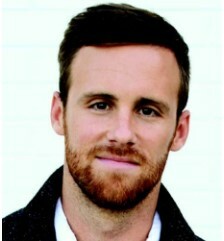 Patrick is the co-founder & CEO of Nisolo. Patrick graduated from the Croft Institute for International Studies and Sally McDonnell Barksdale Honors College at the University of Mississippi, where he studied Global Economics & Business, Latin American Studies, and Spanish. His experience using business as a force for good has led him across the globe—ranging from Kenya and Uganda to Argentina and Peru. While working for a microfinance firm in Trujillo, Peru, Patrick was introduced to the Peruvian footwear industry made up of over 100,000 shoemakers who possess remarkable talent yet lack access to consistent work, fair-wages, and brand access to established international markets. Having had extensive exposure to such potential juxtaposed with a lack of access in other developing countries, Patrick created Nisolo with the vision to push the fashion industry in a more sustainable direction by positioning Nisolo as one of the first footwear and accessories brands to deliver a superior yet ethically produced product to consumers. Why choose the Croft Institute for International Studies at UM? “The Croft Institute played a pivotal role in preparing me for my career. I chose Global Economics & Business as my tract and Latin American Studies and Spanish as my regional and language focus. Today, I am the CEO of a multinational fashion brand working throughout Central and South America. My thematic and regional concentrations at the Croft Institute have lined up quite nicely with my career choices and have helped me in all of the obvious ways. Whom should I contact to learn more about majoring in international studies?